My son loves Spider-Man. He watches the Ultimate Spider-Man on Saturday mornings. He wears Spider-Man shoes. He has the toys and he wears the shirts. But one thing he didn’t have until recently was a Spider-Man game. Until now! With the release of the Amazing Spider-Man movie, Marvel also released the new Marvel Reads, Spider-Man AR app for the iPad. My son is not that big into reading apps, but since it’s Spider-Man, I gave it shot. Instead of showing it to him immediately to get his reaction, I decided to download it and see how long it would take him to discover it for himself. It took a couple of days to catch his attention, but when it did, the app held his attention for over an hour. The story part of the app he followed pretty easily and enjoyed. I could tell that some of the games frustrated him. 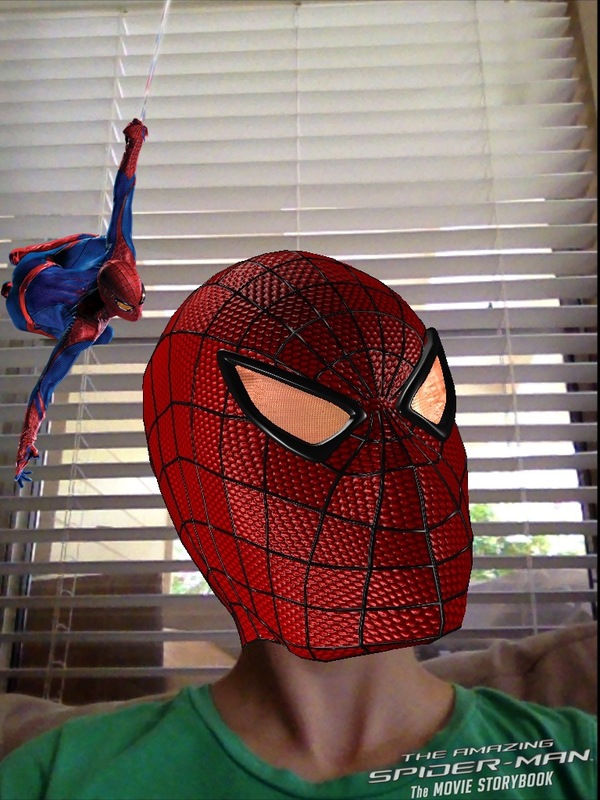 The app uses augmented reality to help bring the reader into Spider-Man’s world. After the story is over with, you can put yourself into Spidey’s world with the use of the front facing camera on the iPad. A couple of the neat aspects of the app include the ability to personalize the front page with your own Oscorp badge, and mini games that you can play when you get tired of the story. After Brandon was done checking it out, I looked it over myself. I can see why he was confused by the mini-games. The graphics and sleekness of this app are pretty good. I could see the colors jumping off the screen of my iPad 3. The images from the movie that the creators chose to use from the movie, fit really well and hit the scenes they were talking about right on. The front facing camera puts you in the action and I think this threw him off a little. He played the Jar of Spiders game pretty well, but I don’t think he understood the point of the Glasses or the Spidey Mask apps. The glasses “mini-game” allows you to put Peter’s glasses on and the Spidey Mask allows you to (you guessed it), put on the Spider-Man’s mask. You can take your picture or just goof around with the front camera and look at yourself. Overall, the app kept my son’s attention for around an hour. It’s not one of those apps that he goes back to everyday, but he does go back to it occasionally for a Spider-Man fix. I recommend this book for any child age six-years old and up. This particular game is only for the iPad 2 and 3, because it requires the front-facing camera for the mini-games. The Amazing Spider-Man is already up for pre-order on Amazon.